The Scientific Program for the 33rd APAO Congress has now been finalized. Here’s a look at a few of this year’s unique sessions. Featuring speeches and presentations by leaders in ophthalmology from APAO and beyond, the Nakajima Memorial Symposium will honor the memory of APAO’s former President and longest-serving Secretary-General Prof. Akira Nakajima of Japan. Find out more about Prof. Nakajima’s life and work here. New this year, the Scientific Program at APAO 2018 will feature an interactive panel discussion among leading experts in the glaucoma and retina subspecialties. TheInterdisciplinary Discussion: Glaucoma and Retinal Diseases symposium will be chaired by Dr. Suber Huang of the United States, charter member of the Retina Hall of Fame, and Prof. Xiulan Zhang of China, who was listed as one of the 100 most influential people in ophthalmology in 2014. Back by popular demand, the Ophthalmic Premier League video symposium will feature four teams (Accommodators, Multifocal, Divide and Conquer, Capsular Bag), who will present their challenging and complicated cataract cases as they compete for glory. Don’t miss this line-up featuring experts from the Asia-Pacific and around the world. Despite covering a rather small area, Hong Kong has no shortage of restaurants and dining opportunities. As an international city of commerce and trade, it features cuisines from around the world, but there are many delicious local delicacies as well. One of the most famous Cantonese meals is dim sum, which means “touch your heart.” Typically eaten as breakfast or lunch, dim sum involves a variety of small dishes meant for sharing. The most popular include “haa gau” (shrimp dumplings), “siu mai” (shrimp and pork dumplings) and “cha siu bao” (barbequed pork buns). In the winter, though the weather is not usually too cold, Hong Kong people like to go for hot pot. At a hot pot restaurant, diners cook their own meat, vegetables and noodles in a pot of stock or soup base at their table. This makes for both an entertaining and warming experience. Other popular types of restaurants in Hong Kong include dai pai dongs, which often comprise open-air stalls along a small street, and cha chaan tengs, local diners where a unique mix of Chinese and Western cuisine is available. Hong Kong is also known for its street food, including curry fish balls, stinky tofu and crispy egg puffs. Every year, the scientific program of the APAO Congress features symposiums organized by ophthalmic societies from the Asia-Pacific region, including many APAO Subspecialty Member Societies. Our thanks to the following societies for their generous support of the 2018 APAO Congress in Hong Kong. ● The Academy of Asia-Pacific Professors of Ophthalmology (AAPPO) is committed to assisting in the academic development in ophthalmology in the Asia-Pacific region. ● The Asia Cornea Society (ACS) is spurred by a common vision amongst corneal subspecialists and researchers throughout Asia to foster the exchange of knowledge and information on clinical, educational and research aspects of the corneal subspecialty with particular focus and relevance to Asian corneal diseases. ● The Asian Neuro-Ophthalmology Society (ASNOS) was founded in 2002 and holds scientific meetings every two years with a unique clinicopathologic case presentation conference in the style of the Frank B. Walsh Society Meeting, the “Walsh-in-Asia,” to promote and contribute to the development of neuro-ophthalmology in Asian countries. 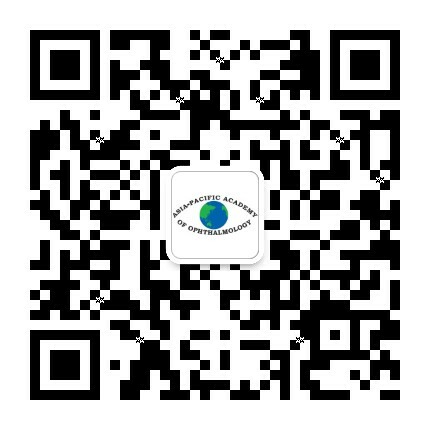 ● The mission of the Asia-Pacific Glaucoma Society (APGS) is to promote excellence in the diagnosis and care of patients with glaucoma of all types at both individual and community levels. ● The Asia-Pacific Society of Ocular Oncology and Pathology (APSOOP) works to engage, advance and further the research, study, education, academic exchanges of knowledge relevant to ocular oncology and pathology. ● The Asia-Pacific Society of Ophthalmic Plastic and Reconstructive Surgery (APSOPRS) continuously supports efforts to provide the highest level oculoplastic treatment to all persons. ● The Asia Pacific Ophthalmic Trauma Society (APOTS), a new APAO Associate Member, aims to build a network and team of eye care professionals with special interest in ocular trauma to advance the clinical care, science and research in ocular trauma. ● The goals of the Asia-Pacific Strabismus and Paediatric Ophthalmology Society (APSPOS) are to improve the development of pediatric ophthalmology and strabismus in the Asia-Pacific region and to provide a platform for exchange of knowledge and skills in this subspecialty. ● The main objective of the Asia-Pacific Vitreo-retina Society (APVRS) is to engage, advance and further the research, study, education, academic exchanges of knowledge relevant to vitreoretinal diseases. A total of 5 new APAO member societies will be sending official representatives to the APAO Congress for the first time at APAO 2018 in Hong Kong. In this newsletter, we feature the Asia-Pacific Ophthalmic Trauma Society (APOTS), a new APAO Associate Member Society. Informally formed in March 2011, APOTS aims to encourage dialogue and collaboration between relevant practitioners working in the Asian Subcontinent and along the Pacific Basin. Currently, Prof. S. Natarajan is president of APOTS and he will also represent the society on the APAO Council. He provided the following thoughts about joining APAO 2018. For shopping enthusiasts, Hong Kong is truly a paradise, with countless shopping malls and designer boutiques. The city is also home to several computer centers offering all types of electronic goods. Hong Kong’s many street markets offer visitors another unique shopping experience. For clothes, accessories and souvenirs, check out Stanley Market in the Southern District or Ladies’ Market in Mong Kok in the afternoon. Similar items can be found at Temple Street Night Market in Jordan, which opens later in the day, though it also features popular outdoor restaurants, Chinese fortune tellers and karaoke. Located near Temple Street is the Jade Market, two buildings that are home to countless stalls selling jade, pearls and many other types of semi-precious stones. Shoppers can also find mahjong sets, chess boards and cloisonné trinkets for sale here. The Yuen Po Street Bird Garden and the Flower Market are both located in Prince Edward. Although they sell items mainly for residents rather than tourists, they are both worth a visit. With beautiful tropical flowers of many varieties and birds of all kinds, these markets have a wonderful atmosphere of unique sights and sounds. No matter where you choose to shop in Hong Kong, don’t forget to bring along some Hong Kong dollars, though Chinese renminbi may be accepted at some locations. And when shopping in the markets, don’t forget to bargain with the vendors to get a better price! A total of 5 new APAO member societies will be sending official representatives to the APAO Congress for the first time at APAO 2018 in Hong Kong. In this newsletter, we feature the Lao Ophthalmological Society (LOS) and the Pacific Eye-Care Society (PacEYES), two new region-based APAO Associate Members. Established in 2006, LOS is currently under the direction of Prof. Dr. Vithoune Visonnavong (pictured) as president, Dr. Khamphoua Southisombath as vice president and Dr. Phetsamone Indara as secretary. LOS is a member of the Asian Ophthalmology Society (AOS) and the International Council of Ophthalmology (ICO). PacEYES is unique because its members reside in several different island nations in the Pacific, but the society is based in Fiji. Dr. Elenoa Matoto-Raikabakaba was recently elected as the new PacEYES president. This year, the annual APAO Congress is lucky to have not one, but two local co-hosts. Read on to learn more about these two important ophthalmic organizations in Hong Kong. The Hong Kong Ophthalmological Society (HKOS) was established with the objectives to maintain and upgrade the quality of eye care in Hong Kong and to foster brotherhood among eye care professionals serving the public in Hong Kong. As an APAO member society, HKOS is represented by Dr. Dexter Leung on the APAO Council. The primary role of the College of Ophthalmologists of Hong Kong (COHK) is to set and maintain professional standards to ensure the safety of patients and to provide them with the best possible medical care. This is achieved through structured training, examinations, continuous medical education and by influencing the healthcare policy in Hong Kong. Nationals of many countries can travel to Hong Kong without a visa. However, for other individuals a visa may be required. The Hong Kong immigration department has special arrangements for Mainland Chinese passport holders as well as those from Chinese Taipei. The APAO Secretariat encourages anyone who requires a visa to enter Hong Kong to apply at their earliest convenience to avoid any last-minute delays or complications. Delegates who have registered for the APAO Congress can generate an invitation letter for visa application purposes after logging in to the Congress system. For a complete list of countries and their respective entry requirements, please visit http://www.immd.gov.hk/eng/services/visas/visit-transit/visit-visa-entry-permit.html. This year, Congress organizers are pleased to partner with three international pediatric ophthalmic societies on the pediatric ophthalmology and strabismus subspecialty area of the scientific program. Our thanks to the following societies for their generous support of the 2018 APAO Congress in Hong Kong. The mission of the American Association for Pediatric Ophthalmology and Strabismus (AAPOS) is to advance the quality of children’s eye care, support the training of pediatric ophthalmologists, support research activities in pediatric ophthalmology and advance the care of adults with strabismus. Membership in AAPOS comprises several different categories, including 906 active/charter members and 329 international members. Currently, Dr. Derek T. Sprunger is president of AAPOS. The International Pediatric Ophthalmology & Strabismus Council (IPOSC) works to preserve and restore eye health and enhance visual function in children, and ocular alignment and binocularity in children and adults throughout the world. Prof. Frank Martin, who is also an APAO Council Member and Scientific Coordinator for APAO 2018, is the current IPOSC president. The goal of the World Society of Paediatric Ophthalmology and Strabismus (WSPOS) is enhancing lives of children with eye disorders and those with strabismus throughout the world. The society is made up of 18 chapters in different countries around the world, including Bangladesh, Mongolia, Nepal and Sri Lanka in the Asia-Pacific region. WSPOS is governed by an Executive Bureau of 5 directors. A total of 5 new APAO member societies will be sending official representatives to the APAO Congress for the first time at APAO 2018 in Hong Kong. In this issue, we feature the Myanmar Ophthalmological Society (MOS), one of APAO’s new National Member Societies. Established in 1957, MOS now organizes the Myanmar Ophthalmological Conference annually and convenes a Mid-Year Academic Meeting every 2 years. At present, MOS membership includes 345 ophthalmologists. Prof. Chaw Chaw Khaing is the current president of MOS, and she will also serve as the society’s Regional Secretary on the APAO Council.